When NBC cancelled Southland, it was hard to imagine that we’d be talking about season five of the show. Will the ratings be good enough for TNT to renew the show for a sixth year? We shall have to wait and see. Revolving around police officers in Los Angeles, the show stars Ben McKenzie, Michael Cudlitz, Regina King, Shawn Hatosy, C. Thomas Howell, and Lucy Liu. Below are the most recent ratings for the Southland TV series on TNT. The show’s ratings are the best way to tell if it will be cancelled or renewed for a sixth season. The fifth season of Southland airs on Wednesday nights and there are 10 episodes once again. UPDATE: TNT has cancelled Southland after five seasons. UPDATE: Will Southand be back for season six? Final season averages: 0.5 rating in the 18-49 demographic with 1.44 million total viewers. 0.7 demo rating (+40% change) with 1.83 million (+15% change). Season averages: 0.50 in the demo with 1.44 million. 0.5 demo rating (0% change) with 1.59 million (+9% change). Season averages: 0.48 in the demo with 1.40 million. 0.5 demo rating (+25% change) with 1.46 million (+11% change). Season averages: 0.47 in the demo with 1.38 million. 0.4 demo rating (-20% change) with 1.32 million (-9% change). Season averages: 0.47 in the demo with 1.37 million. 0.5 demo rating (-17% change) with 1.45 million (-16% change). Season averages: 0.48 in the demo with 1.37 million. 0.6 demo rating (+20% change) with 1.72 million (+14% change). Season averages: 0.48 in the demo with 1.36 million. 0.5 demo rating (+25% change) with 1.51 million (+28% change). Season averages: 0.45 in the demo with 1.26 million. 0.4 demo rating (-20% change) with 1.18 million (-2% change). Season averages: 0.43 in the demo with 1.18 million. 0.5 demo rating (+25% change) with 1.21 million (+4% change). Season averages: 0.45 in the demo with 1.18 million. 0.4 rating in the 18-49 demographic with 1.16 million total viewers. Season average: 0.40 in the demo with 1.16 million. It was a disappointing return for Southland. Year-to-year, the season debut was down by 33% in the demo (vs a 0.6 rating) and down by 34% in viewership (vs 1.76 million). 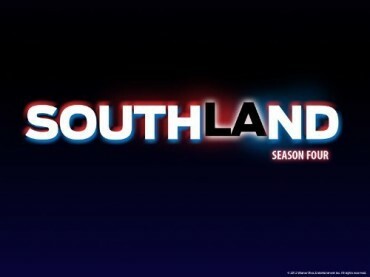 Reference point: The fourth season of Southland averaged a 0.6 rating in the 18-49 demographic with 1.84 million total viewers. What do you think? Do you still like the Southland TV series? Are you hoping that it’s renewed for a sixth season? The best cop show on tv. Fantastic cast, great stories. What will we do without Dewi? This season has been the best. Please do not cancel. Loved that show and everyone I’ve talked to feels the same. What a shame they do not renew it. There are so many other shows that should be cancelled, but not Southland. Maybe if it had been advertised better. Then we wouldn’t be losing such a fantastic show. Even people I knew would love it didn’t know about it. Please do not cancel Southland. One of the best drama shows on TV. The cast worked perfectly together.. Please renew for season 6, great show and will miss it. No other show on air to rival this show, great show, great characters. Why, why, why cancel a great and thoughtful show ??? Soon there will be nothing left but junk reality for the brain dead. Please don’t cancel Southland.